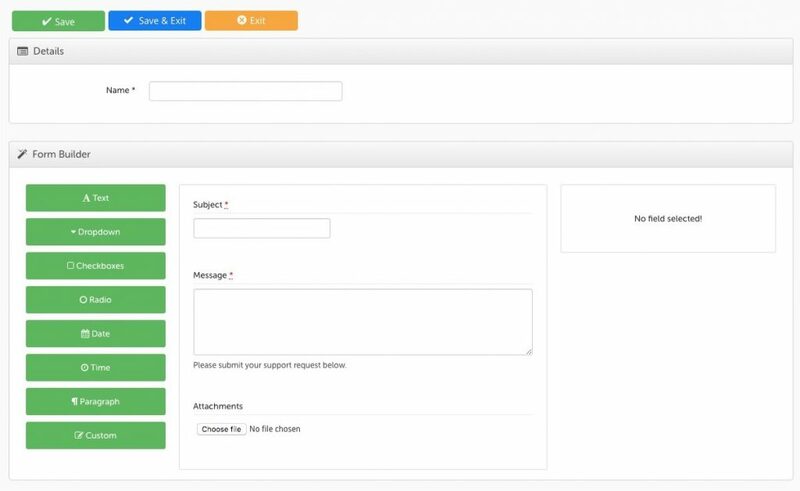 The Request Forms feature allows the Admin to create different request forms for Clients. Using the Request Forms feature you can create 1 or multiple Forms and assign them to individual Clients. When you first start using Clientrol, a default form will be added to Clients to submit Requests. Go to Admin Dashboard and select Custom Forms under the Settings tab. Select New to create a new Form. Use the Drag & Drop builder to create your custom form, when all the options are included, select a name and Save & Exit. To assign a form to a client, go to the client settings and assign the form. Select Save & Exit to finish.